Give your home a new sparkle with this traditional six-light chandelier design by Vienna Full Spectrum™ lighting. This is exactly what I was looking for at an unbelievably low price! Can’t wait to see it in my dining room! 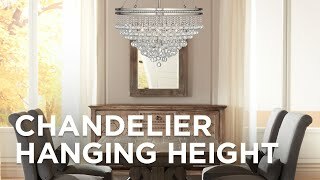 Viennese style crystal chandelier is elegant & timeless. It's traditionally cool! It's a statement of Elegance. It never goes out of style. And it's a great value! The pictures looks nice and with good review. For over my garden tub in my master bath. Gorgeous, have been looking for months! My chandelier is not sitting straight from left to right. What do I do? It should hang straight, unless the frame of it is warped. I’d contact the seller. Do the strands have gold in them or is that a weird reflection? BEST ANSWER: The strands do not have a gold finish. Thank you, the pictures are reflecting gold, which I don't want. My chandelier didn't come with instructions. Do you post instructions for this item online? BEST ANSWER: Hi Erin - I have emailed you a copy of the assembly instructions. What is the absolute shortest it can hang? BEST ANSWER: Hi, the chandelier can be hung semi-flushed. It will measure 30-31" inches from the ceiling to the bottom of the crystal stands. Are the crystals plastic or glass? The crystals are glass. The chandelier is really lovely. 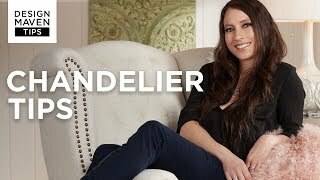 BEST ANSWER: Yes, this beautiful chandelier is dimmable. I believe so. We have it on a fixed on / off switch but I don't see why it couldn't be dimmed. Yes and it's absolutely gorgeous. This chandelier is much more beautiful in person. It's elegant, modern, and stylish for any room. I had to put all the crystal pieces on myself, I had a little trouble doing this since I am disabled. 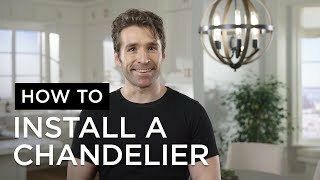 Lights Plus should make it clear that you must do a lot of assembly on this chandelier. I had been looking for an elegant chandelier for our dining room. When I found this and saw the price I had to purchase it. We hung it in our dining room with ease and it looks fantastic!!! It changed the whole look and feel of the room. Everyone who comes in the house comments about how gorgeous it is.... If we ever move the chandelier will go with us! All the parts are a little overwhelming at first, but worth the time to assemble. Looks amazing for the price! It was so simple to order and ship. Putting it together was time consuming, but easy. I am very particular about the things that I use to decorate my home, and this is beautiful! It makes my dining room look rich without being overbearing. I would highly recommend. Its all good, beautiful and the service was fast and every piece was intact! Delivered very quickly. There was a slight problem with a couple of the hanging crystals. I called customer service and had a replacement within 3 days. Totally satisfied. I bought this chandelier for my daughters room. What a beauty! It mixes well with our antiques and really adds an eclectic feel to the room. I would buy this again even knowing,the amount of time involved to assemble the fixture.The reason I gave it 4 stars is for the amount of time and patience required to put every single piece and prism together. Once all the prisms are finally on you stand back and just say, "WOW"
This is a pretty chandelier. We placed it above our eat in kitchen table. 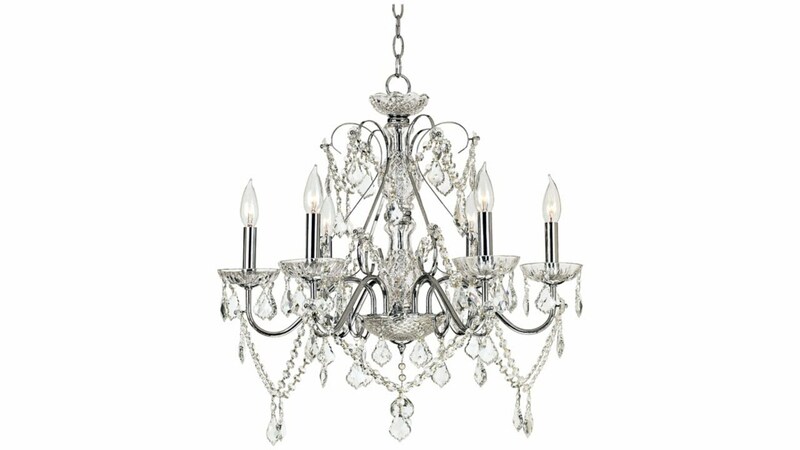 Nice for the price, although, there are chandeliers available with more sparkle and better quality. You just have to be willing to increase your budget. [...] Overall, I am happy with my choice. so, the reason i dinged one star was i had a broken bottom bowl of the fixture. called lamps plus and they were great and said another part was on its way. well, it took a long long time to get the replacement part and they sent the wrong part ; (....however, i got impatient and we put up the chandelier without it and no one seems to notice - so i'm gonna just ignore it too. We put this chandelier in our master bedroom and it looks beautiful! It was hard to hang, but once it was up it was well worth it. I am very happy with the purchase. This chandelier looks beautiful over my dining room table. It looks much more expensive than the other chandeliers at which I looked. I shopped for a chandelier for four months with thought to spending much, mush more than this light. Great find. I used it for my bedroom and hang it over the bedroom and it made my bedroom looks so elegant and beautful. The first thing that people noticed when entering my room is the chandelier. 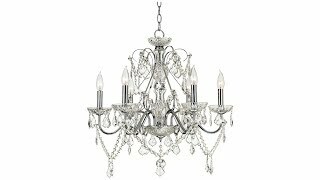 I have not purchased this item yet, still deciding between this and two other crystal chandeliers, but i am almost 80% sure I am going with this one. I saw it at the store and it was even more magnificient in front of my eyes! The way its crystals sparkle and shine is breathtaking. I love the fact that its the perfect size not too big, just right. Great buy for the money! Beautiful piece. Lamps Plus replaced a part that arrived broken almost instantly with no hustle at all. Very pleased with my purchase. Got the light for my small dining room. super beautiful. The crystals are beautiful. Very elegant. I have looked in lighting stores but have not seen anything as Beautiful as this for the quality and price. 5 STARS for this. Love it! Exactly as expected! The only con was it took alot of attention to detail to put it together. Instructions were not perfect but the result is absolutely fabulous! We have six 40 watt lights and the light on this chandlier is very bright. Luckily we have a dimmer on the switch and can tone it down abit. Really a good buy for the money! This chandelier is absolutely gorgeous. The pictures do not do it justice. Purchased this during the summer sale so it made it even better and a much easier decision at the great LampsPlus price. Easy to hang and electrically install but takes some time to hang all the crystals so be prepared. Looks great with a ceiling medallion to really showcase the light and the room. 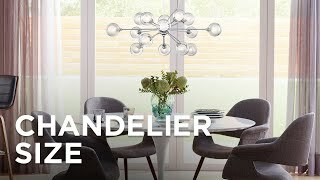 I bought this fixture for our dining/living room and currently use it over the dining room table. Gives off alot of light. 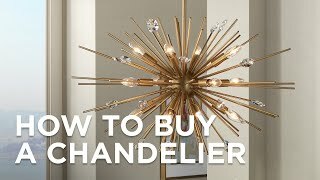 My fiance was not very happy when I decided to purchase this because he thinks chandeliers are very old fashioned but he actually really likes it too. It adds class and sparkle to the room, and looks like it was much more than what I paid for it. The assembly process was quite long, took me a good couple hours but was defenently worth it. The instructions were also very vague so that may have had alot to do with the assembly time. All in all I am very satisfied with my purchase, it is absolutely gorgeous. I would highly recommend and dont see how anyone couldnt love this fixture. It makes the room shine with sparkle giving it a look of elegance and sophistication. Great Service/Delivery by Lamps plus. No problem getting issues with purchase resolved. Cons: Crystals may be cloudy and not clear. This looks gorgeous in my piano room. Just in time for the holidays! 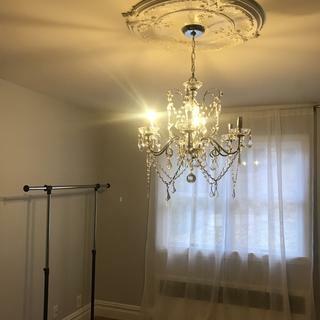 My 13 year old had to have a crystal chandelier in her new, small bedroom. This one sparkles beautifully and makes everyone go "wow" when they walk in her room. It is beautiful yet affordable. The only thing I did not care for was having to assemble it. Once that was done, all went smoothly. It truly is a great chandelier and all who see it admire it. I'm very happy with it. 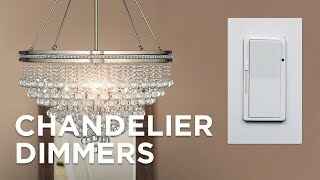 Very elegant and works great with dimmer switch for mood lighting. This is a fantastic chandelier! Very impressive chandelier. It is exactly what I was looking for. The finish is beautiful and the crystals sparkle. 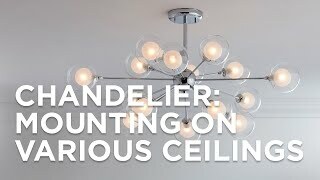 I was looking for an elegant and affordable chandelier for the formal living room/ parlor in our new home and saw this one advertised in a Lamps Plus circular. I studied it online and then went and looked at it in the store before ordering it. It is gorgeous. It's perfect for our small parlor--not too big or too small--and makes quite a statement. I love the glass/ crystal and chrome combination; the whole thing shimmers like a chandelier should! It did take some patience putting it all together--I did it while watching a movie--and my husband hung it. All in all, I am very happy with my purchase. The chandelier is stunning and it was very affordable. I am in love with this chandelier!!! its just what i was looking for. The quality in the brilliance of the crystals and the craftmanship are exquisite. It is the perfect size for my daughters bedroom since the ceilings are pretty low. I think it goes perfect with the crstal sconces I have. [...] I will definitely order from them again very soon! 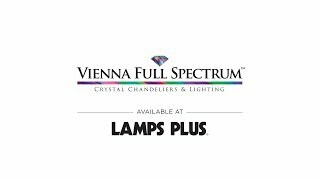 I would recommend lamps plus to all for all your lighting needs! I bought this for our formal dining room at our new home, and it is breathtaking. The size is just right and perfect for a mid-size space. It has quickly become the focal point to the house and we couldn't stop admiring it after we finished assembling it. It is absolutely gorgeous! Like trimming a Christmas tree! Thought it was beautiful once I got the switch/dimmer problems solved and the lights lit. Then I added all of the crystal baubles--it's like trimming a Christmas tree! Didn't even use all of the crystals and it sparkles and shimmers. I love this chandelier in dining room. I USE IT IN MY FORMAL DINNING AREA AND IT LOOKS GORGEOUS. I wanted a beautiful crystal chandelier to finish out the master bathroom in our house. We got this chandelier for a great deal during a Lamps Plus sale and it was perfect. While a little time intensive to put together, the finished product is elegant and classy. Much more so than it looks in the picture online. The only con is that you have to hang the crystals just right, or they tend to kink up a bit. My husband accidentally swung his towel in the air one day and knocked a few of them askew, and I had to get the ladder out to make them hang flat again. But overall I highly recommend. We hung the Vienna Chandelier over our Master Tub and included a dimmer switch. Dim the light for the right mood, also plenty of light when you need it. Love it! We purchased and had it installed with a dimer and it looks just great and gives off a nice light whether high or low light. Easy to put together and very decorative. Assembly takes some patience. Beautiful! This chandelier is just gorgeous. I get so many compliments on it. I have it in my dinning room on a dimmer and is perfect. Beautifully made and was installed by Lamps Plus installers. They always do a great job. Immerse yourself in sea life as you illuminate a dining or living area with this transitional coral six-light chandelier. Each drum style shade houses three candelabra style lights in this Manchester grey island chandelier. Set your sights on a sea bound decor destination with this transitional ship&#39;s wheel six-light chandelier.